Hostme was slightly above average hosting supplier a few years ago, with good support. However Hostme hasn’t moved with the times and still offers small packages for the money. More worrying is that over the last year support has dropped to almost zero, with email and support tickets going un answered for months. I finally gave up with hostme and move my remaining sites to another hosting supplier. Great hosting options for the price, resonably fast hosting – I got a slight lag when editing wordpress pages at peak evening times, which isn’t bad considering the servers are actually in the United States. Brad at Hoopla is super helpful and if I didn’t have to edit pages in the evening when everyone else is on the internet I would stick with this service. 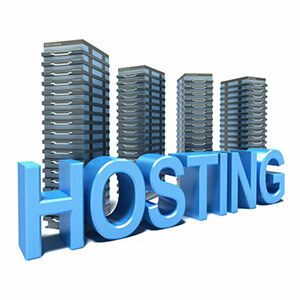 Nice hosting options at good prices – lots of space and bandwidth avialble, all on New Zealand servers. My experience with Hostbee was great – fast and knowledgable response to questions, very helpful support staff. I encountered a problem during the migration of a website to Hostbee ( at 9 oclock at night ) and yes some one was there to help. Not only did they suggest a solution, they actually did the transfer for me free of charge. Nice ! I opted for the cloud hosting option ( which is supposed to be slightly faster than their other services ). I can’t tell the speed of the other option, but the cloud option is great, super fast. Well worth the additional cost as far as I’m concered. On paper the hosting packages look good and the advertised level of support sounds great. The Online community tells a different story and the alleged level of support is actually quite shocking. Having tried to purchase some hosting services online and failing – their online purchasing wasn’t working ( could have been a lucky escape for me ). I sent a message via their facebook site then put in two email questions via their web site, I got an auto reply saying I would here soon then nothing ( still waiting 2 months later ). A real shame as the company often comes up first on web searches when looking for hosting – obviously they have their marketing and SEO right. But my experience and investigation suggest support is not their best selling point. Other web hosting suppliers not investigated.